Near to earth a correlated pair of photons emerges from a source. Photon 1 goes this way; photon 2 goes the opposite direction. The photons are in a superposition of the states “photon 1 has spin up and photon 2 has spin down” and “photon 2 spin up and photon 1 spin down”. After one hour photon 1 hits a probe and its spin is measured to be “up”. What about the superposition? 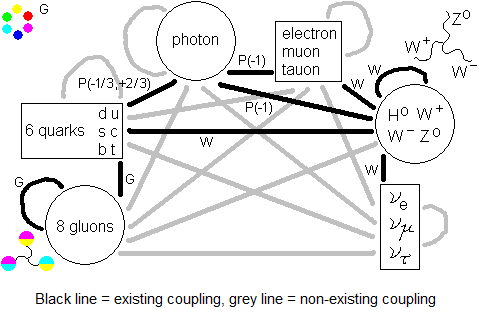 What about the spin of photon 2? According to The story and “The story - part 2” at page 2 of the storyline THE COLLAPSE OF THE WAVEFUNCTION, there are two complete worlds existing, occupying the same space at the same time. In world 1 photon 1 has spin up and photon 2 has spin down. Denote this as w1 = p1 + p2 . In world 2 photon 2 has spin up and photon 1 has spin down, w2 = p2 + p1 . When the probe measures the spin it splits into two identical versions at the same place and at the same time. One version of the probe enters world 1. The other version enters world 2, measuring our photon to have spin down. Within a couple of hours after entering, decoherence provides the rest of the solar system having entered the two worlds too. There is no “spooky action on a distance”. The only unbelievable thing is the existence of alternatives of the current situation at the same time and the same place. Complete solar systems, at least. But we have to believe since we remember having measured in an earlier stage the interference pattern of both worlds pervading each other. And in principle there are others far away, Outside Observers not yet hit by decoherence, who still measure the interference pattern of the superposition of the worlds from which we have already entered one. Let's once again return to our world where the probe has measured p1 to be up. The probe has measured spin up, so that possibility is real. The Outside Observers observe the interference of w1 and w2 and see no clue whatsoever that one of that worlds is more real than the other. Therefore the Outside Observers judge w1 and w2 as equally real. And since we know that one of those worlds is real, the other one must be real too. So if I don’t mistake, this one was easy. But the next experiment offers more challenge.